Pictured: Jason Bain, VVMF’s Senior Collections Curator, shows students some of the items left at the Vietnam Veterans Memorial in Washington, D.C. as part of VVMF's distance learning program. Washington, D.C. – The Vietnam Veterans Memorial Fund (VVMF) is pleased to announce that it has received the CILC Pinnacle Award for the second year in a row for its distance learning program about items left at the Vietnam Veterans Memorial in Washington, D.C. The Pinnacle Award is given annually, by the Center for Interactive Learning and Collaboration (CILC), to organizations that receive outstanding scores on program evaluations submitted by educators and activity directors. CILC is recognized nationally and internationally as the leader in live, interactive content aggregation, consulting, and support services. “Each year, the honor roll of Pinnacle Award winners grows longer. This year we are recognizing 69 organizations for exemplary interactive programming. We at CILC are so proud of how our content provider partners consistently impact the lives of students and lifelong learners across the globe. Congratulations, all!” said Janet Zanetis, CILC Managing Director. The VVMF-led distance learning program involves classrooms and facilities connecting live via the Internet with Jason Bain, VVMF’s Senior Collections Curator, working from the National Park Service Museum Resource Center in Hyattsville, Md. Mr. Bain shows students some of the hundreds of thousands of items left at the Vietnam Veterans Memorial in Washington, D.C. He leads discussions about why those items may have been important for someone to leave at The Wall. One of the most poignant items is a care package sent to a young soldier, which was returned to his family stamped K.I.A., standing for “killed in action.” The soldier never received the care package, and it was left at The Wall by a family friend, still unopened. The Center for Interactive Learning and Collaboration (CILC), established in 1994, specializes in the access to applications and the utilization of videoconferencing for live interactive content and professional development, as well as web-based collaborative learning environments for lifelong learning. CILC provides consulting expertise in videoconferencing, integration, problem-based learning projects, and effective techniques for the delivery and development of quality programs. Visit www.cilc.org to explore the various providers of content and diversity of programs and trainings available. CILC serves as a program to the South Central Service Cooperative, an Education Service Agency with its headquarters in southern Minnesota. 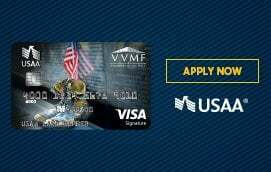 VVMF is in the fundraising stages to build the Education Center at The Wall. The Center will be an interactive learning facility on the National Mall where our military heroes' stories and sacrifice will never be forgotten. The Education Center will feature the faces and stories of the more than 58,000 men and women on The Wall and honor America's Legacy of Service, including those serving in our nation's armed forces today. Time Warner is the Lead Gift Benefactor in the campaign to build the Education Center at The Wall. To learn more about VVMF and the Education Center at The Wall, visit www.vvmf.org or call 202-393-0090.